Eight years of primary education, five years of secondary education, moved away from home for four years of university education. That’s seventeen years of full-time education, twenty-two years of developing as a person, twenty-two years of hard-work, developing friendships, collecting experience, months of job searching, job applications and interviews, all leading to this point.I am a qualified Occupational Therapist with a job in Dundee Community Mental Health Services. I have reached my goal …. now what? My first day in the working world had arrived. On the day it felt like the biggest thing ever, today, one year later it feels like a lifetime ago. My first year of working has been very enjoyable and an invaluable experience. On my first day, everyone was very welcoming; clients and staff. I was welcomed with a cup of tea which was very comforting. It started just like the first day of any placement that I had completed as part of my training. Induction and orientation, sorting out all the paperwork and computer accounts, meeting all the staff, fire safety, etc. All the usual questions just like when I was on placement, Where are you from? Where did you study? 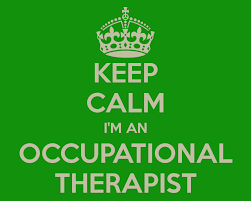 Are you enjoying Occupational Therapy? I rattled off the usual answers as they are always the same, until the final two questions when this time the answer to “Are you a student?” was not “yes” it was “no”, and the answer to “How long are you here for?” was not “ 6 weeks” or “8 weeks”, it was “I am here permanently”. After a couple of weeks when all of the induction and introductions were done, I began to gradually be introduced to my case-load and began doing groups. That I think is when it started to set in that this was it, I wasn’t on placement any more, I wasn’t reporting to a supervisor and having all my work checked and countersigned before it was recorded. 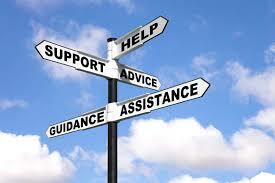 Although I had excellent support and guidance from my colleagues, it quickly sunk in that I was now the Therapist. I was making decisions, I was doing assessments, I was not a student any more. It also was sinking in that I was a colleague to all the members of the team, I was a permanent part of the team now, not just a blow-in for a couple of weeks, experiencing maybe one assessment with a particular client and two or three follow-up sessions before passing it back to my supervisor as I went back to the books. Sometimes on placement you can get a feeling from certain conversations happening in the office that you are probably not meant to be part of them and you suddenly need the bathroom or a cup of tea so you leave the office. Meetings happen that you are not allowed to attend and you spend the time in the office completing reflections. Now, being a member of the team, I am involved in these meetings, contributing my ideas and opinions to them. Just when I was getting into my stride a student started on their placement. This was another new and strange experience for me. I was introducing the student to clients, she was observing my assessments and treatment session, she was helping out in the groups that I was running, she asked me to look over and countersign her notes. This gave me a whole new insight, I was seeing things from a completely new perspective. 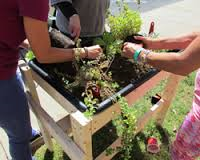 When the student was taking the lead with assessments and treatment session and I was observing, I realised how easy it is to input to the situation without thinking about it and feel you are helping. When this happened to me as a student I thought it was because I was doing something wrong but now I saw this was probably not the case, well not all of the time anyway. This explains why when my practice was being observed, my supervisor would sometimes input into the session but then I would still get good feedback at the end. When I was involved with the Occupational Therapy student, I felt that I was still learning myself and I was sharing my knowledge with her.I know we are always continuously learning and I think this was a very beneficial learning experience for me. I feel it also improved my confidence in myself. It is a good feeling when someone asks you a question about practice and you are able to answer it with confidence. I think the experience has also improved my knowledge and practice, I feel that from sharing my knowledge and experience with someone else, I have more confidence in it. I have been working here almost a year now and it has only been a couple of months since the last time I was asked “Are you a student?”. Just like it took me time to get my head around it, it took some of the clients time to realise this too. As most of the clients I have been working with are a great deal older than me, I thought at the beginning, “They will not listen to me”, “They will not take my advice on board”. 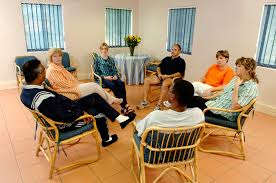 However, just like any situation with clients in healthcare, the therapeutic relationship is the most important thing. It is so important to develop trust between you as the therapist and the client you are working with. 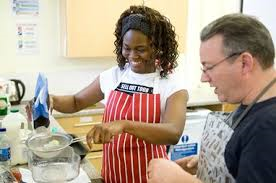 As I developed therapeutic relationships and developed trust with the clients I realised the thoughts I was having were just that, ideas I had thought up myself, not the way it was at all. I think the post I am in is a great post to start off your career. When I began I had a good induction period which gave me time to settle in and find my feet. I was given the opportunity to visit all of the different locations in the service and other organisations that I would be working with. I attended the NHS Tayside induction day which was very helpful. It was great to meet other people who were new to NHS Tayside, there was opportunity to ask any questions that I needed. We are all assisted in how to set up our computer accounts and how to use the systems that are unique to NHS Tayside. This has proven very helpful to me, and many of my colleagues, since I have been working here. 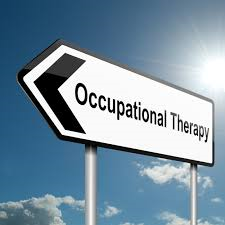 I have also attended the Band 5 OT meetings a couple of times, this was a good experience, to meet other OTs working in the area that are the same level as me. It was helpful to compare our practices and to speak about flying start with others who are completing it too. I have also been completing my Flying Start folder.This is a year long CPD programme which helps newly qualified practitioners with the transition from student to independent practitioner. It has taken a lot of time and work but it has proven to be very beneficial to me. It gives the opportunity to reflect on my experience and learning in my first year of practice and I feel it will be a very valuable resource for my CPD when it is complete. I have had great support for completing this from my mentor, I have also had monthly supervision with my supervisor. She has been very helpful and encouraging. In supervision we speak about different projects I have been doing, eg. Lunch groups and music group. 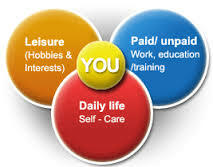 We also speak about any difficulties or challenges that I am having and also learning opportunities for me. I have attended several training days training days which I will add to my CPD, these include, child protection, team working to improve healthcare, Adult ADHD- Amidst the Chaos is a Disorder. 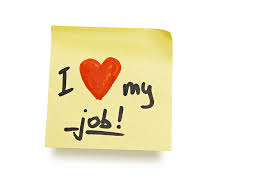 This has all been a new experience for me and I have enjoyed every minute of it, I look forward to all the rest of the new experiences that this job will inevitably bring as I progress in my post and in my career. Niamh Donnelly is an Occupational Therapist based at Dundonald Day Service, part of the Dundee Community Mental Health Service. This entry was posted in Uncategorized and tagged Flying Start, occupational therapy. Bookmark the permalink. 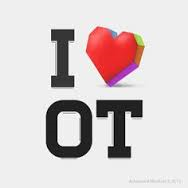 Great to read of your experience and progression to a fully fledged OT. Not just now, I am enjoying the practical experience at the minute.